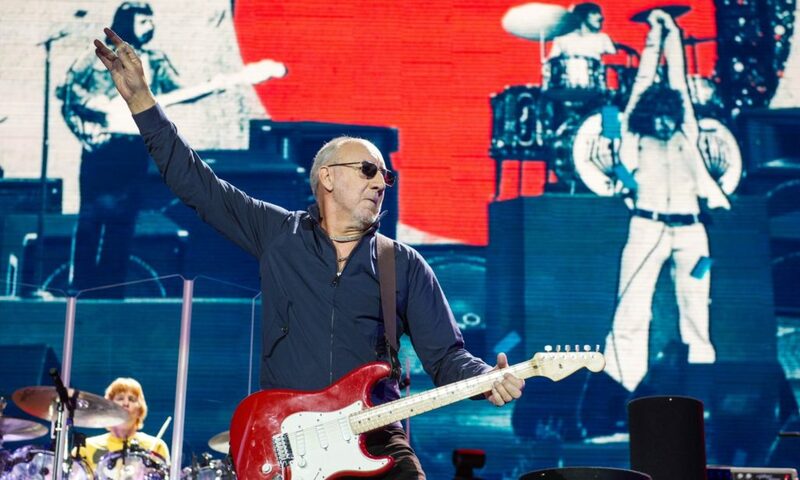 “I hope I die before I get old,” wrote Pete Townsend of the Who in 1965, neatly encapsulating our culture’s veneration of youth – and disdain for those benighted souls who no longer possess it. The 20-year-old Townsend was, of course, to be disappointed: last month he turned 70. But over the decades he may have revised his views on the grimness of growing old. Because the ageing process isn’t necessarily a steady descent into misery; on the contrary, the evidence suggests that happiness is likely to increase as we head towards old age. This isn’t to say that the idea of the mid-life crisis has had its day. In general, people seem to begin their lives with a high degree of contentment. 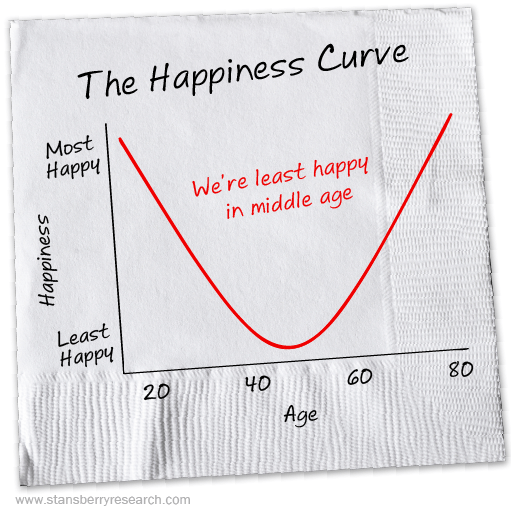 From the age of around 18 we become gradually less happy, reaching a nadir in our 40s. One estimate suggests that, over the 30 years from teen to middle age, life satisfaction scores dip by an average of around 5-10%. We are, of course, talking averages here: broad statistical trends, typically based upon responses to one question (such as “Taken all together, how would you say things are these days – would you say that you are very happy, pretty happy, or not too happy?”). An individual’s personal experiences may be quite different. Nevertheless, it’s a pattern that’s been detected in many large-scale studies. The U-shaped curve emerges very clearly, for example, from data on half a million Americans and Europeans.